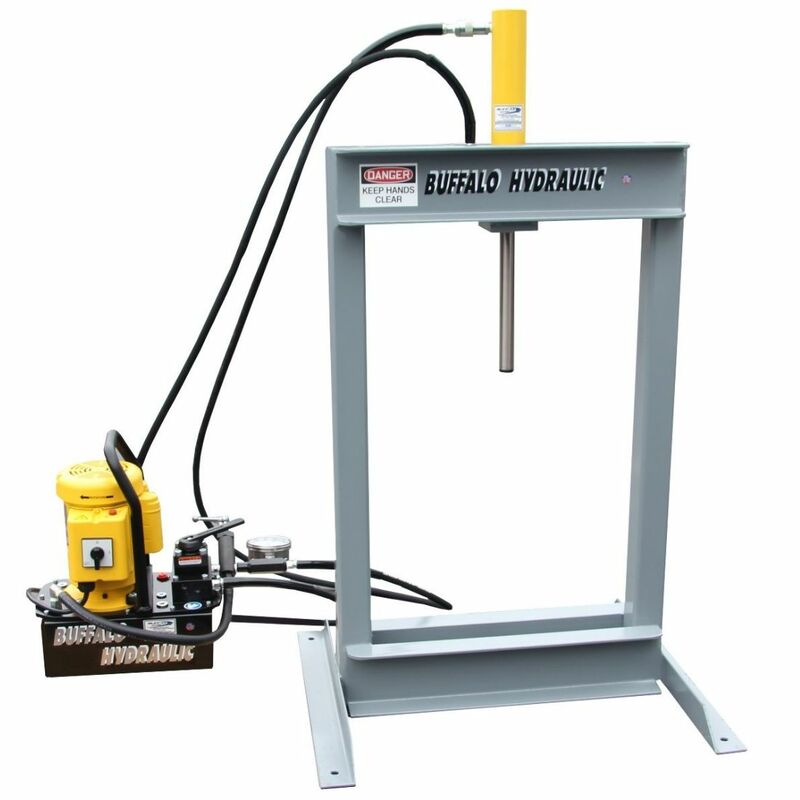 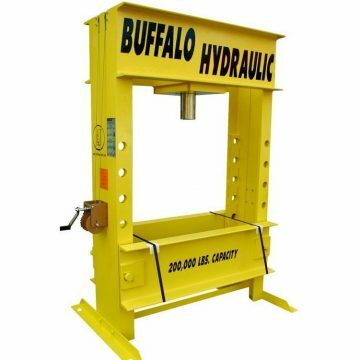 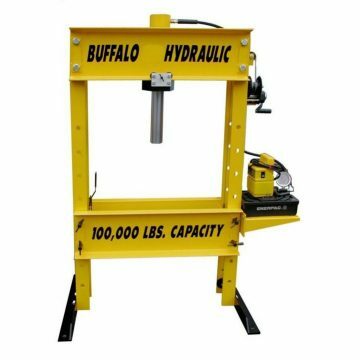 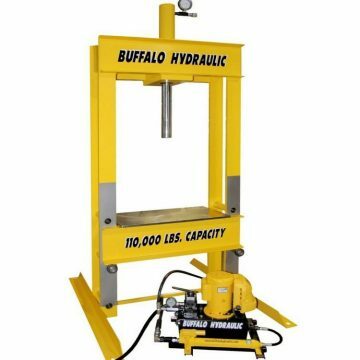 Buffalo Hydraulic BHEHP30X08-SPL-1 Custom H-Frame, Hydraulic Press. 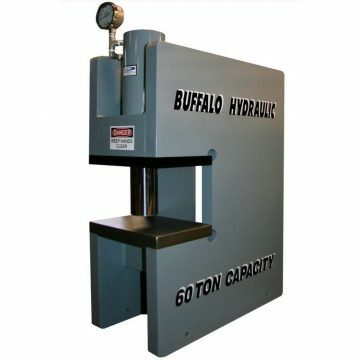 40.00″ Fixed bed vertical opening. 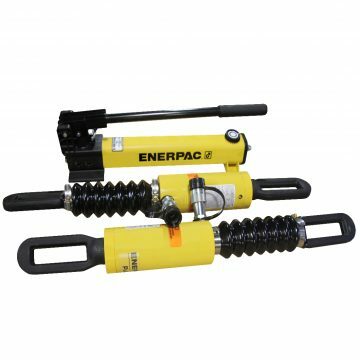 8.25″ Stroke/travel, double acting hydraulic cylinder. 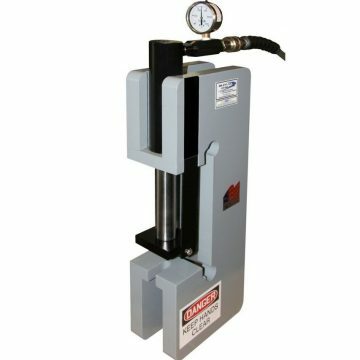 115 VAC, 1 Ph., 60 Hz electric hydraulic powerunit. 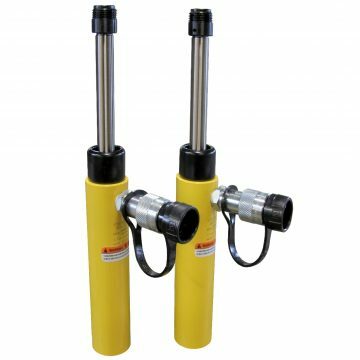 Manually operated, 3-position (Advance-Hold-Retract) directional valve. 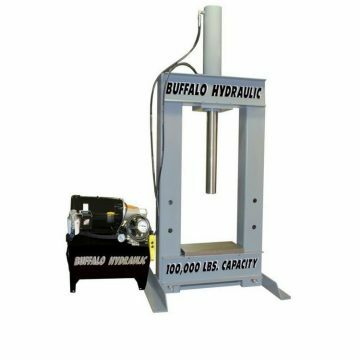 Glycerin filled, 0-60,000 Lbs. 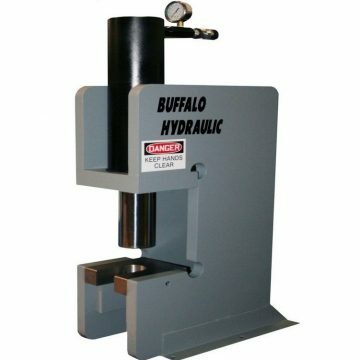 force pressure gauge. 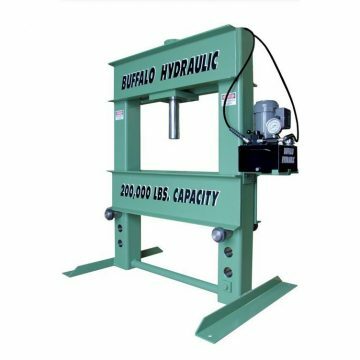 Manually operated, adjustable (800 – 10,000 p.s.i.) 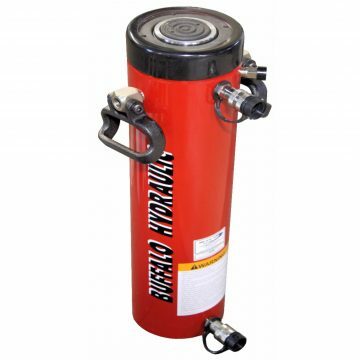 pressure relief valve. 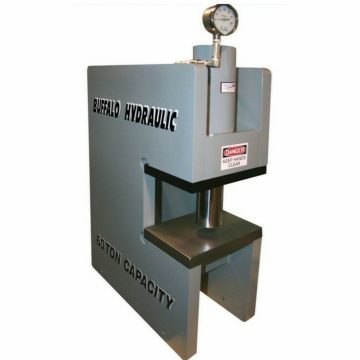 Utilizing Enerpac’s ZE-4410MB electric hydraulic pump along with an RR-308 double acting cylinder provided the hydraulic components to complete this custom hydraulic press. 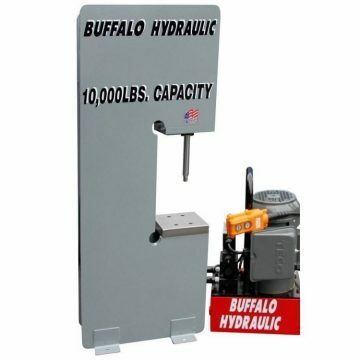 BVA PGM5505 Gas Engine Hydraulic Pump.